Cook bacon over medium-low heat until crisp. Remove bacon from pan, crumble and set aside. Leave bacon drippings in the pan. In a medium bowl, combine sugar, flour and salt. In a liquid measuring cup, combine vinegar, water and beaten egg. Pour liquid into dry ingredients and mix until smooth. Pour this mixture into the bacon drippings and heat, whisking constantly until the mixture thickens. 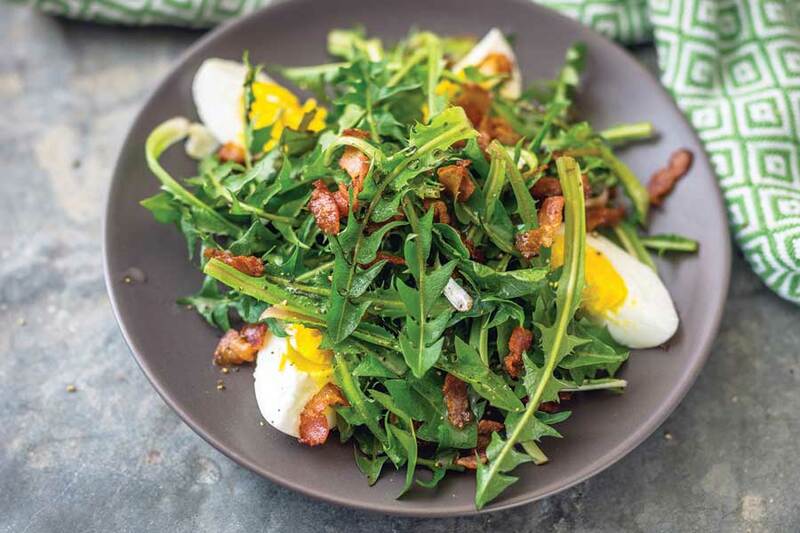 Pour warm dressing over dandelion greens and top with crumbled bacon and hard-boiled egg slices. Toss lightly and garnish with violets if desired. Serve immediately.